Beginning with the Puddle Jumper, and retaining its performance defining rocker and spiral vee under the rear foot, I pushed the wide point slightly forward, widened and squared off the tail block and really pulled in/straightened out the hip area of the outline, between the feet. These changes, combined with reducing the depth of the concave through the center of the board (which straightens and flattens the rail rocker under the front foot) all work together to build a more linear speed down the line, across flats and though slop. The inverted swallow, and angular corners of the square tail, reduces surface area behind the rear foot, adding bite and control without sacrificing the extreme drive generated by the straight tail outline and rail rocker. 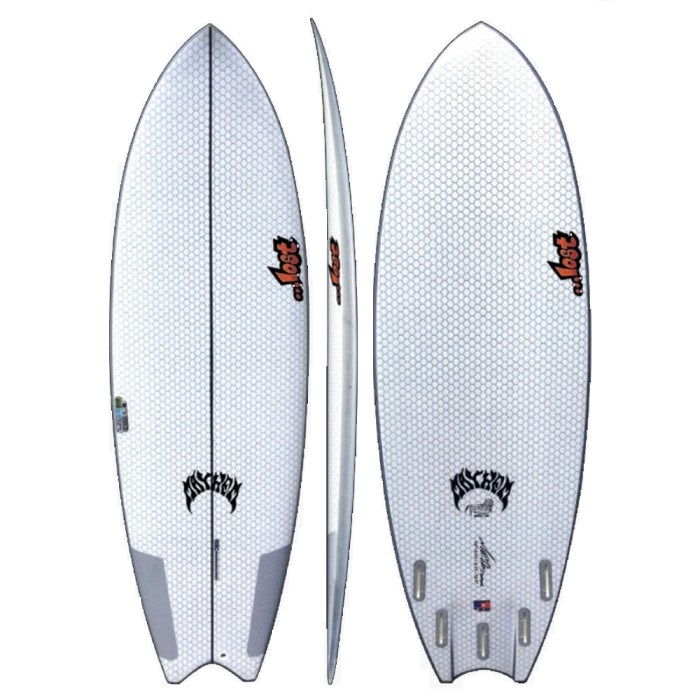 The entire design is wrapped up with the (optional) speed bleeding, “afterburner", release channel, which sits inside the double concave vee panels and is toed in slightly, to run parallel with the rear quad fin placement. The channel then exits at the apex of the inverted swallow. 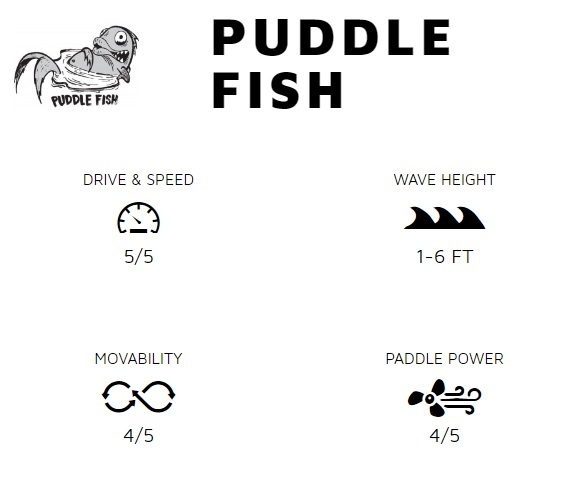 My goal was to design a board that matches the flat line speed of any alternative “fish" design, without the cumbersome, drifty feeling most of these boards possess, and allow full force, small wave, rail surfing with confidence. 板底Bottom 凹槽Concave 與 通道Channel裡設計從Double Vee Concave 到超過Channel 之後 轉為Single concave. Double Vee Concave 與Side Fin平行,更能使Fin與Tail增強板尾靈活性能. 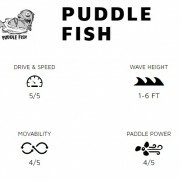 Puddle Fish 擁有小浪板特性,增強速度上變化,有別於Fish Board 設計,若搭配Quad Fin配置,速度上的反應將會再進化.